Palchuram Falls is located 39 km from Iritty in Kannur District in the state of Kerala. The Palchuram waterfall which commences from a height of 300 meters is an enchanting crystal clear watercourse which has four step eye-catching falls. It is the largest and most spectacular waterfall in Kannur District. Even though the path to the waterfalls from the main road is narrow, the waterfalls is worth visiting. 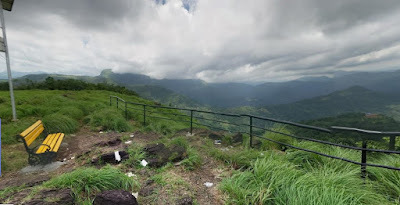 It has perilous trek track that can be extremely tiring. 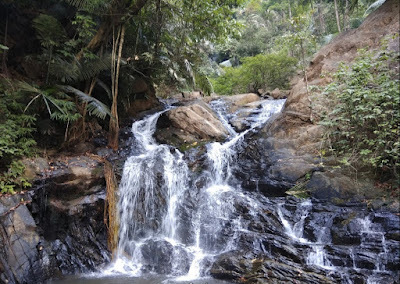 The trek-track of the Palchuram waterfalls is not only fantastic to view but also tedious to catch-up. During the monsoon season Palchuram Falls looks more scenic. There are so many elevated view points around this exciting water fall. These snow smeared misty hill sites provide an alien beauty to the waterfalls together with the surrounding gorgeous environments. Crystal clear streams having small cascades which flow as tributaries to this waterfall add tremendous luster to the location. 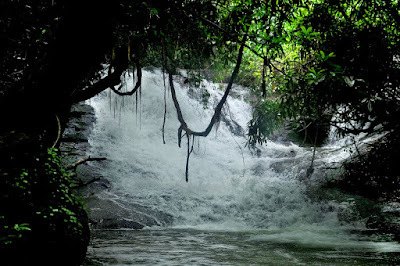 Another attraction of the region is Arecanut plantations which are seen along the trekking areas of the waterfall. The dense forest surrounding the landscape site is home to different types of flora and fauna.